You are the leader of one of the 7 great cities of the Ancient World. Gather ressources, develop commercial routes and affirm your military supremacy. Build your city and erect an architectural wonder which will transcend future times! 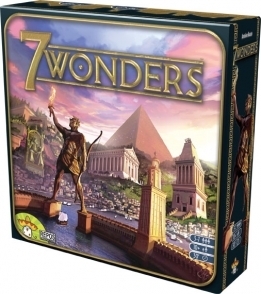 7 wonders is a simple and addictive game for the whole family. In 30 minutes you can raise a complete civilization and build the greatest Wonders of the World.